Known as the “Emerald Isle” with its rolling green hills and lush landscapes, Ireland is a magical destination that will enchant and charm even the most persnickety of travelers. 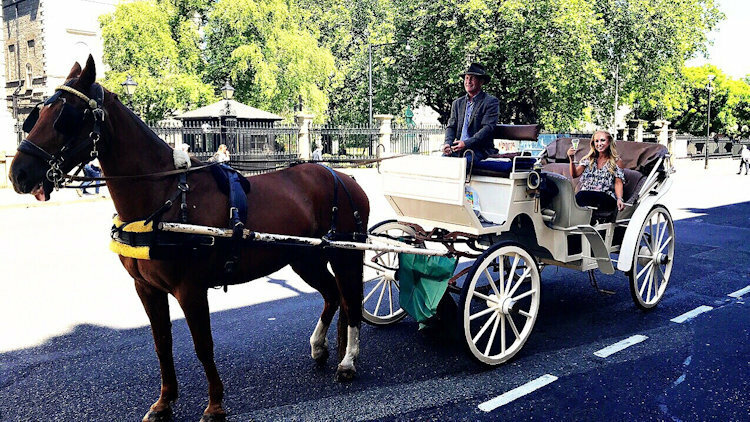 Its capital Dublin is a city built on more than a thousand years of history and today has a culture that reflects an eclectic mix of modern and historic which along with the warmth of Dubliners bring the city to life. I featured this vibrant Viking-founded city as a “bucket-list destination” on Season Two of my luxury lifestyle show “Travel Time with Linda”, strategically timing the airdate of the first Ireland episode to debut on St. Patrick’s Day and bring the luck of the Irish to our viewers. We had a lot of good craic (Gaelic slang for fun) while filming this incredible city, but the cherry on top was fulfilling a childhood fantasy: romantic, fairytale experience of staying in a real-life castle. Legend and lavish surroundings have ensured that Ireland’s castles never fail to capture the imagination. 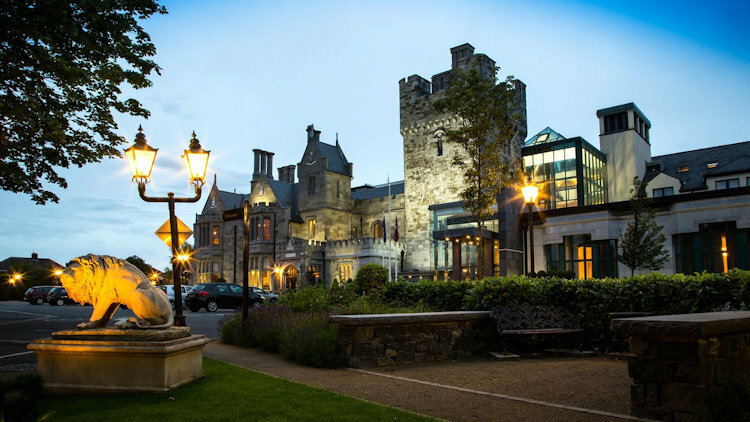 Ranked by Condé Nast Traveler readers as one of the top ten hotels in Ireland, historic Clontarf Castle was a dream come true to experience firsthand living in a piece of Ireland’s history. 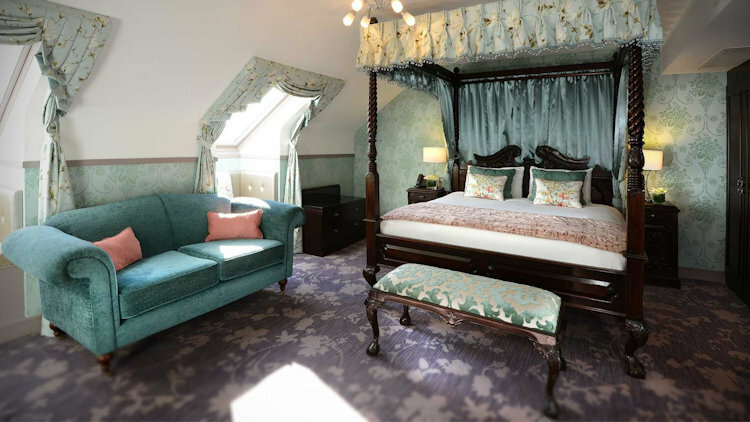 Located just ten minutes from the heart of Dublin’s city center, this unique 12th-century castle is considered an important landmark in Ireland and offers the perfect blend of Irish history and tradition with all the modern luxuries of the 21st century. Its castle grounds have witnessed generations of celebrations over the years, and just imagine how many love stories the walls of Clontarf Castle have seen! A stalwart of the Dublin gastro scene and truly the jewel in the crown of Clontarf Castle is the Knights Bar; a handsomely furnished restaurant decorated with polished wooden floors, warm leather banquettes, open fireplaces and ornate pitched ceiling. Delivering exceptional dishes using only the very best of local produce and Dublin’s fresh fish and seafood is Executive Head Chef Stuart Heeney. Pictured enjoying a signature dish; the Knights Quinoa Salad with grilled Atlantic prawns, roasted butternut squash, grilled balsamic red onions, rocket and pine nuts was simply scrumptious. Not only was the food outstanding, the warm, caring and familiar service delivery by a dedicated team who have been with the castle for years, guarantee all that frequent a genuinely rewarding dining experience. 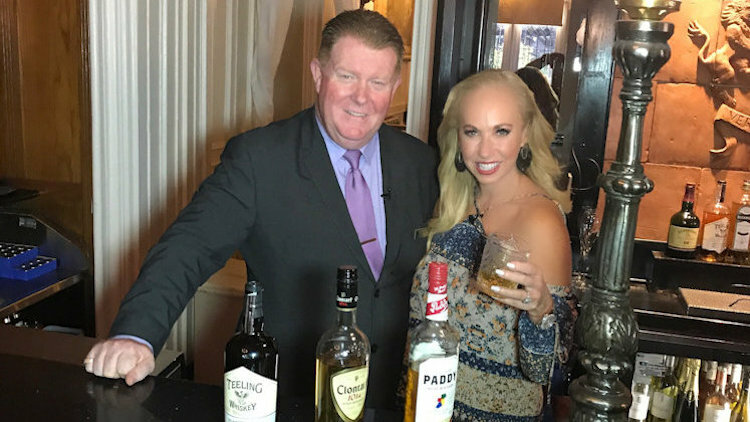 I enjoyed many delicious meals during our stay filming but my personal favorite to complement the gastro dining experience was whiskey tasting arranged by Bar Manager Cormac Rose, which that included their signature Clontarf 1014 Irish whiskey. I feel truly blessed to share my travel journeys with all of you. Season One of ‘Travel Time with Linda’ aired nationally last year on AXS TV Network winning a 2018 Telly Award and is now available on Amazon Prime Video. Tune in to watch nationwide Season Two beginning March 17th returning to AXS TV Network. 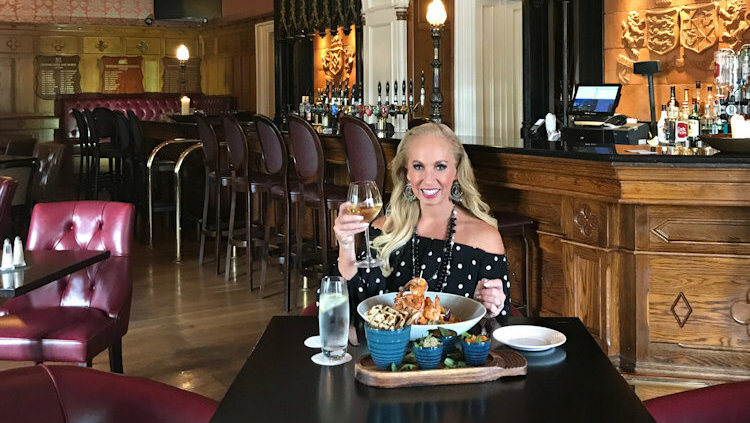 Linda Cooper is an award-winning TV host, producer and writer serving as a brand ambassador to worldwide travel on her national luxury lifestyle series “Travel Time with Linda” and as a contributor to several lifestyle and travel publications. Over the years, her specialty areas of focus on television and in lifestyle publications include the travel; lifestyle; luxury; tourism; hotels; restaurants; food/wine; fitness; spas; and retail shopping industries. Season One of ‘Travel Time with Linda’ aired nationally on AXS TV Network winning a 2018 Telly Award and is now available on Amazon Prime Video. Tune in to watch Season Two nationally this spring featuring bucket-list destinations airing weekly Sunday mornings 8am ET / 7am CST. Check your guide for your local cable network channel listing.